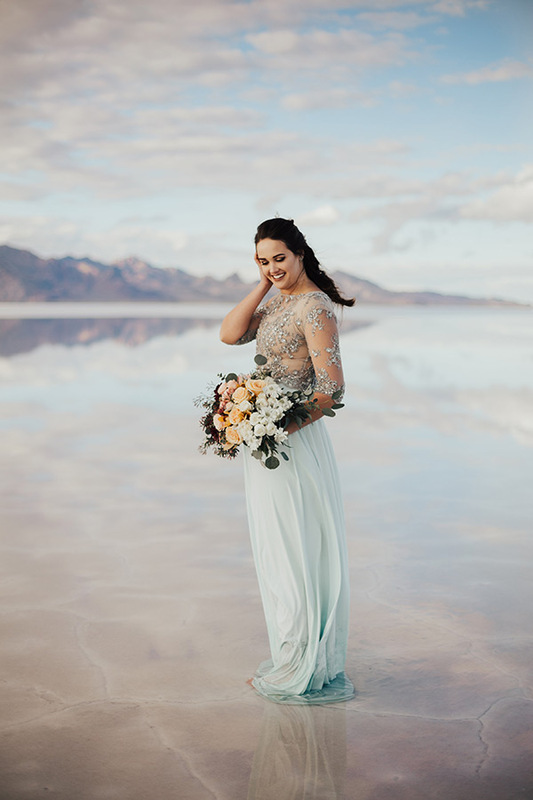 These colors, people! 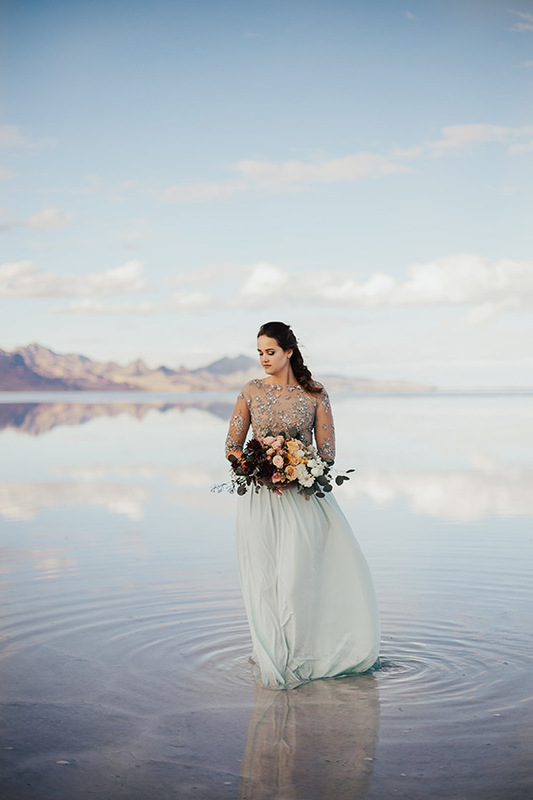 These colors. 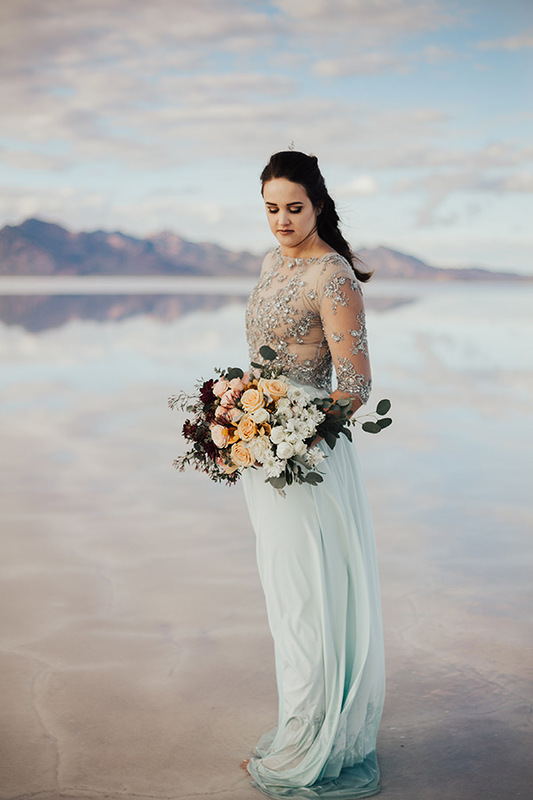 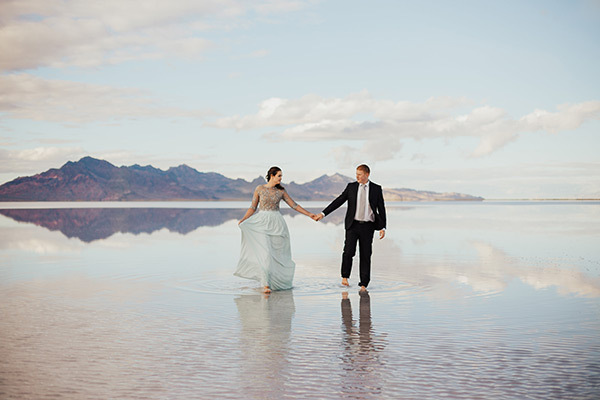 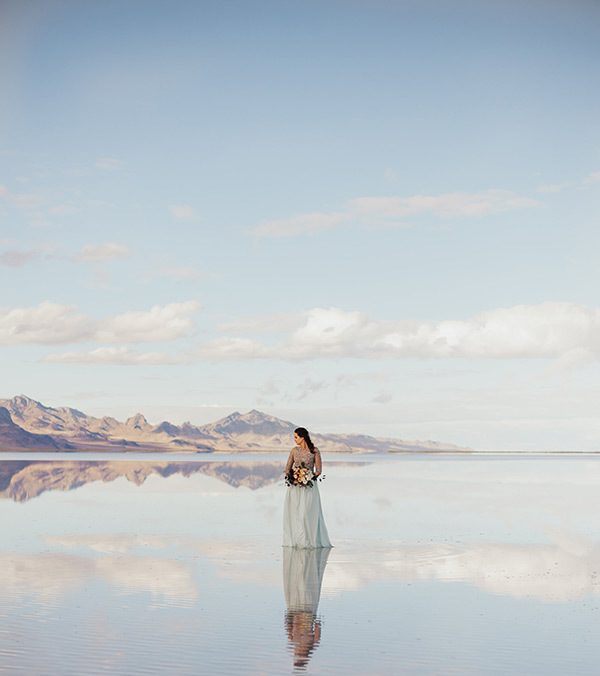 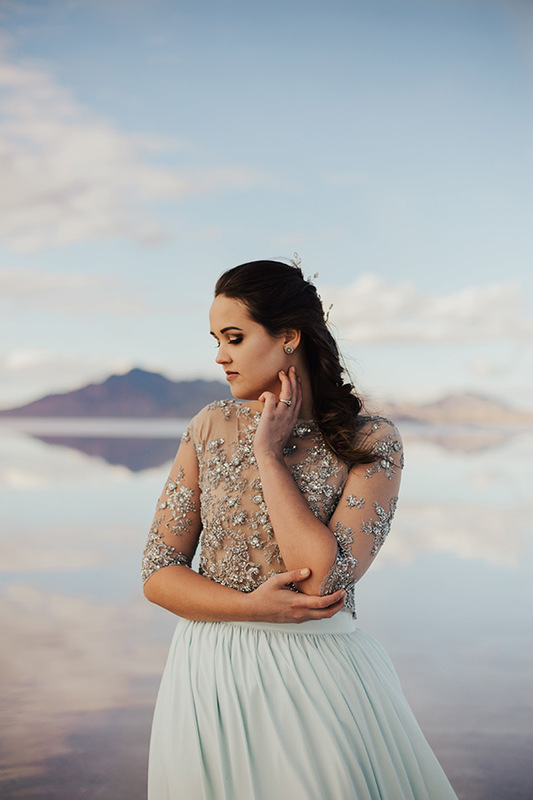 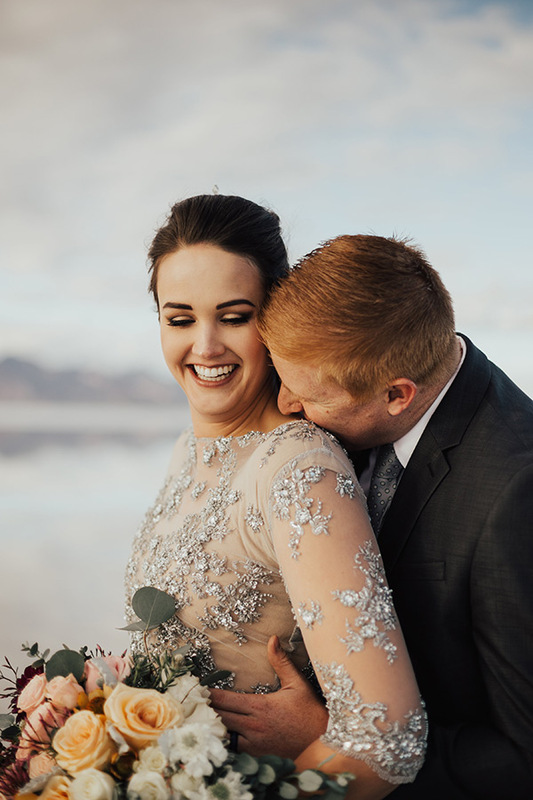 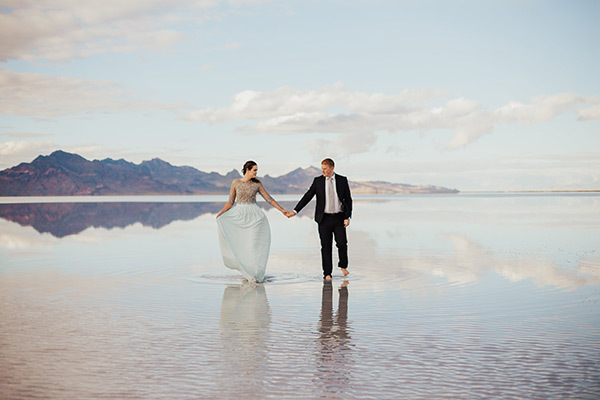 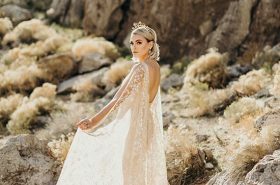 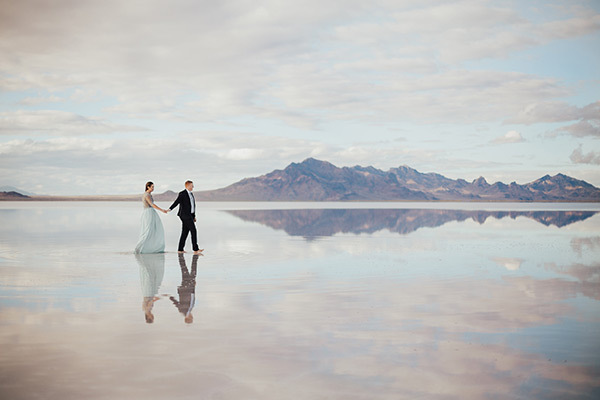 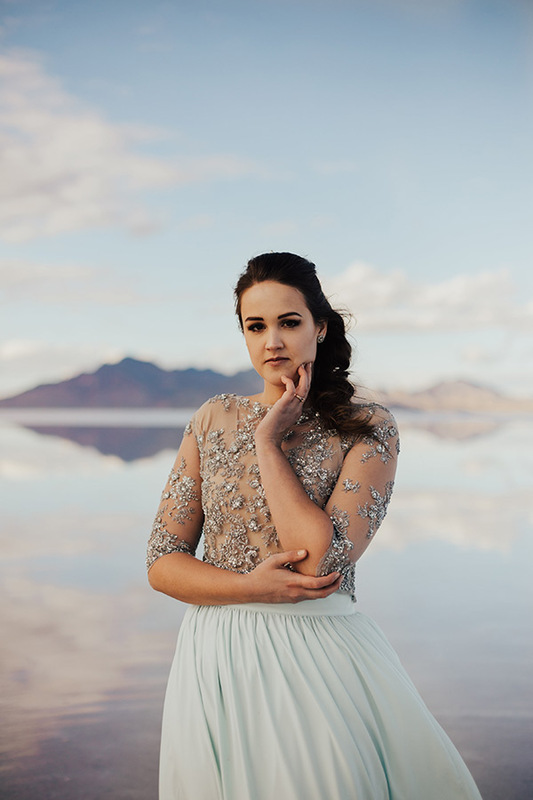 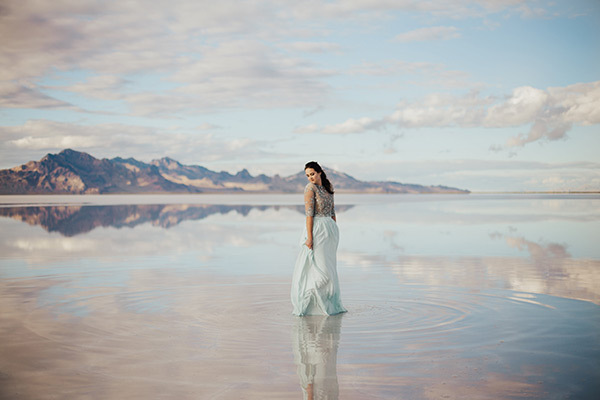 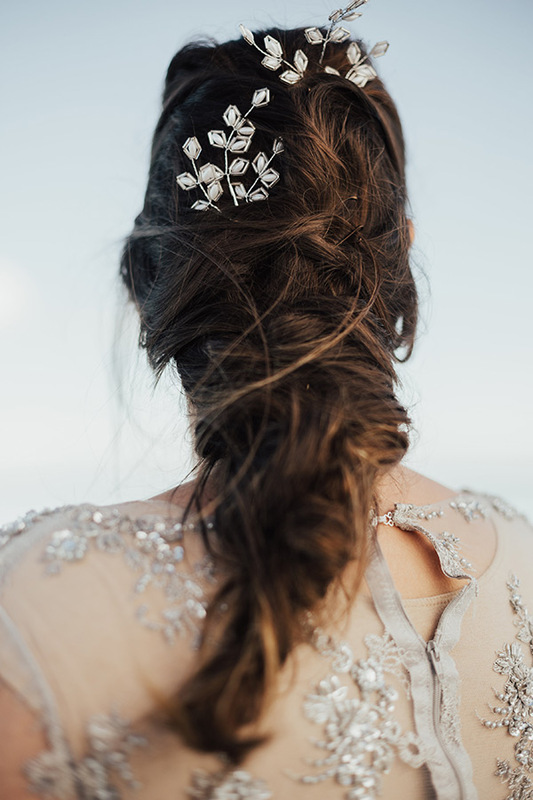 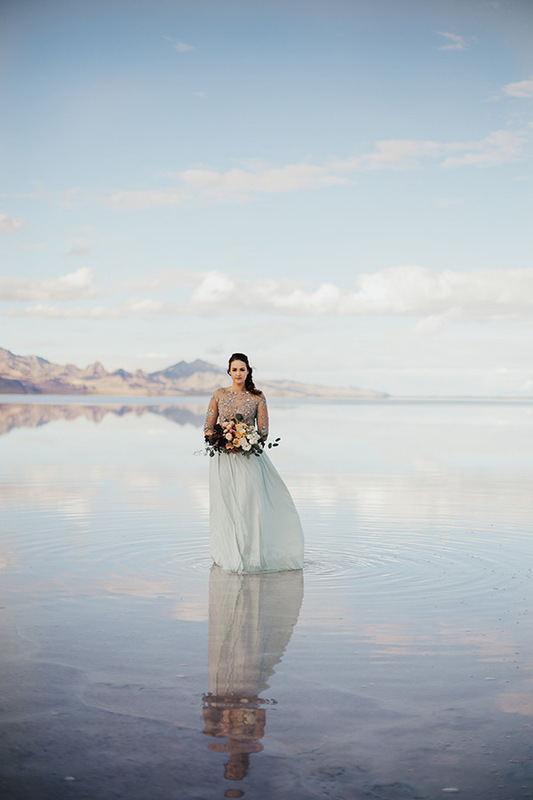 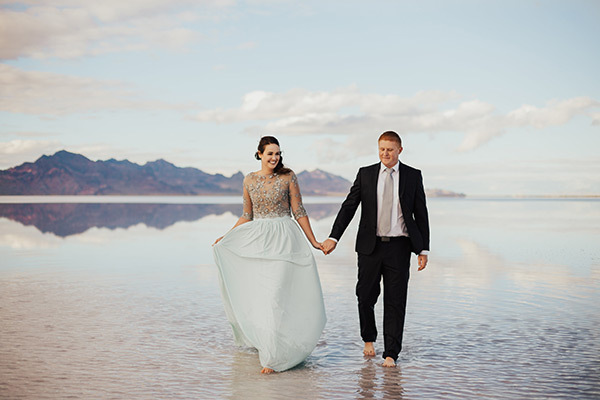 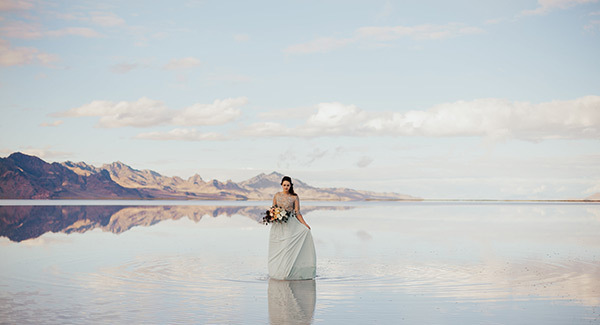 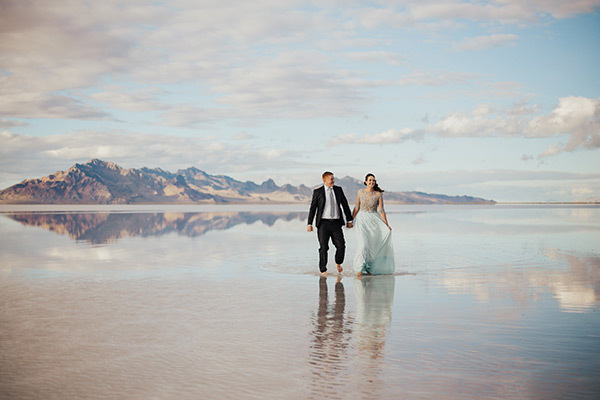 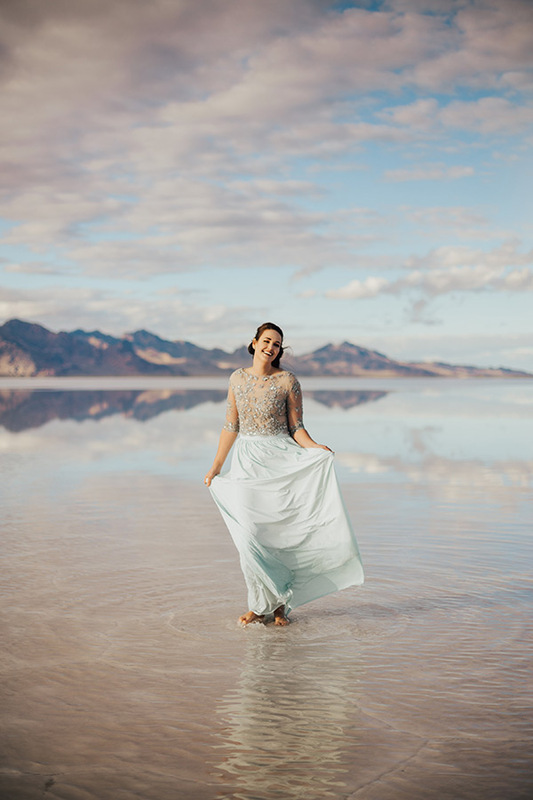 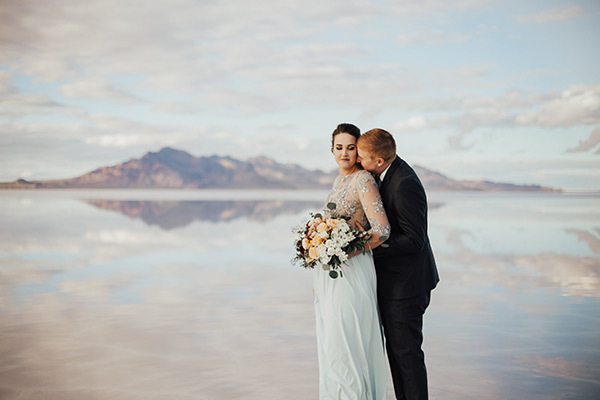 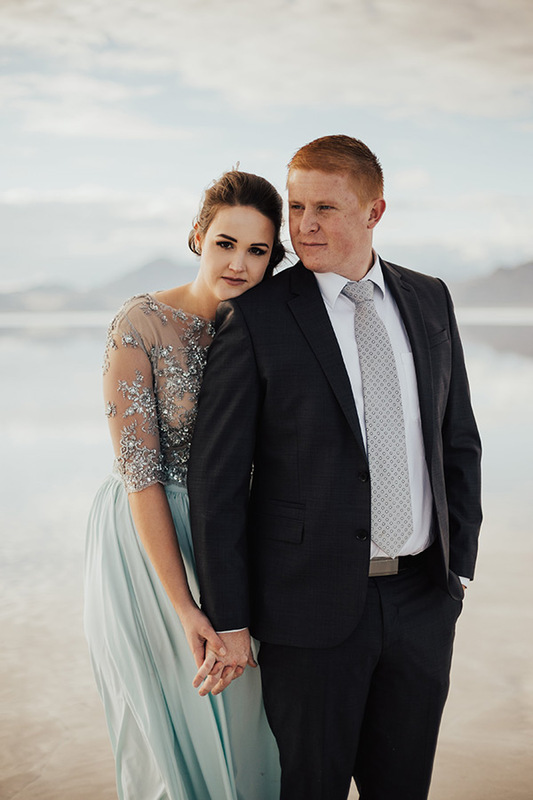 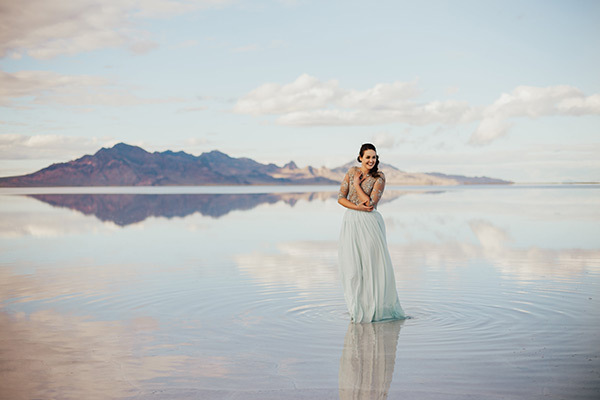 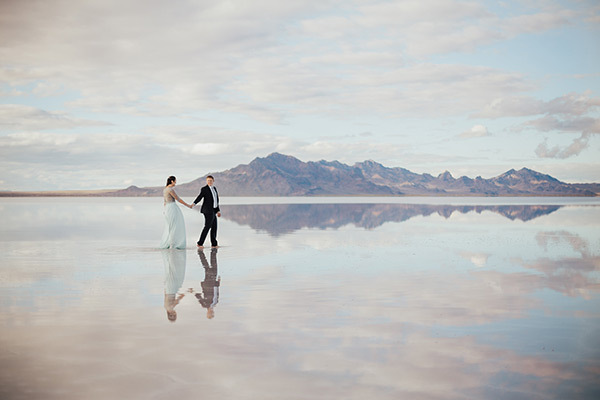 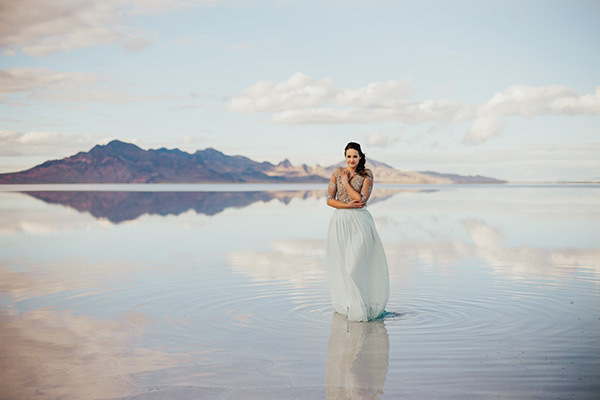 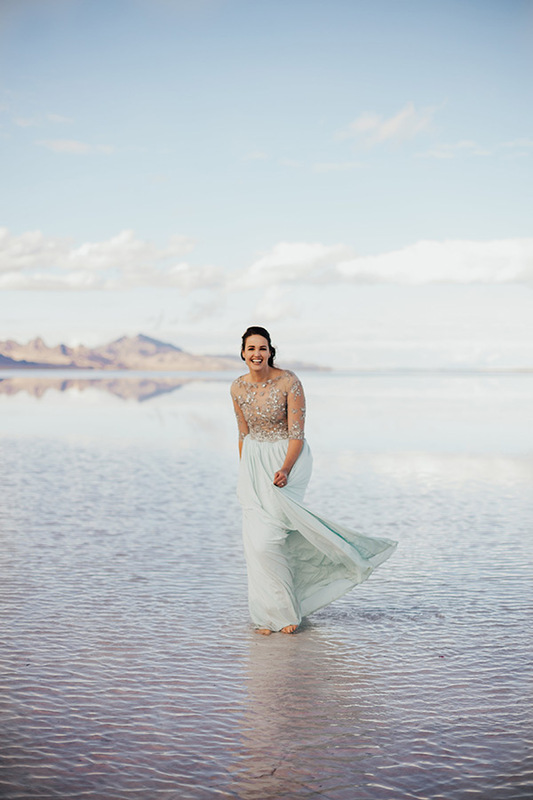 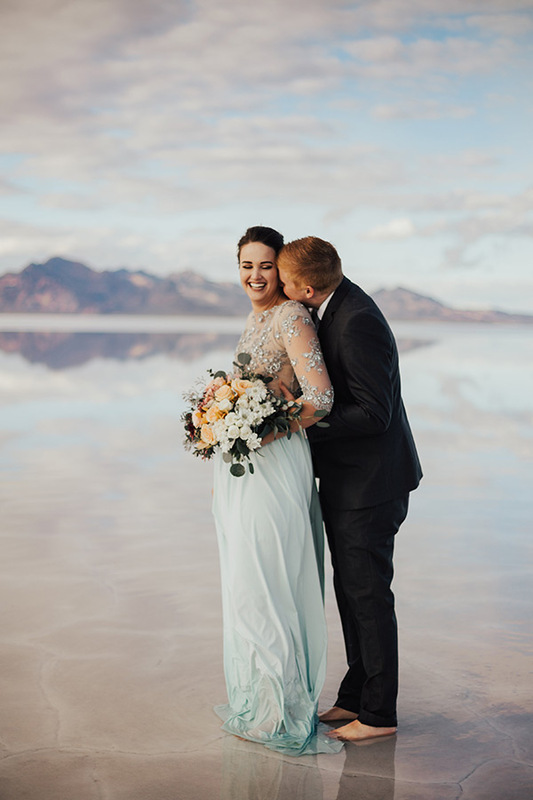 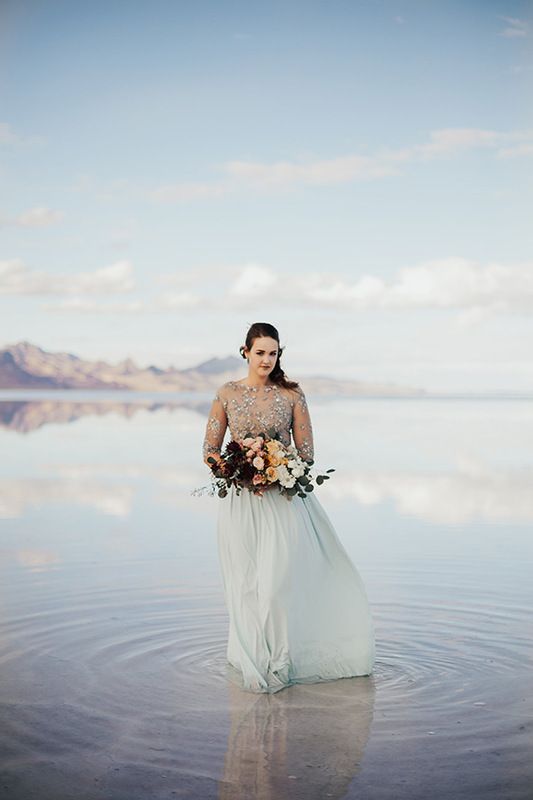 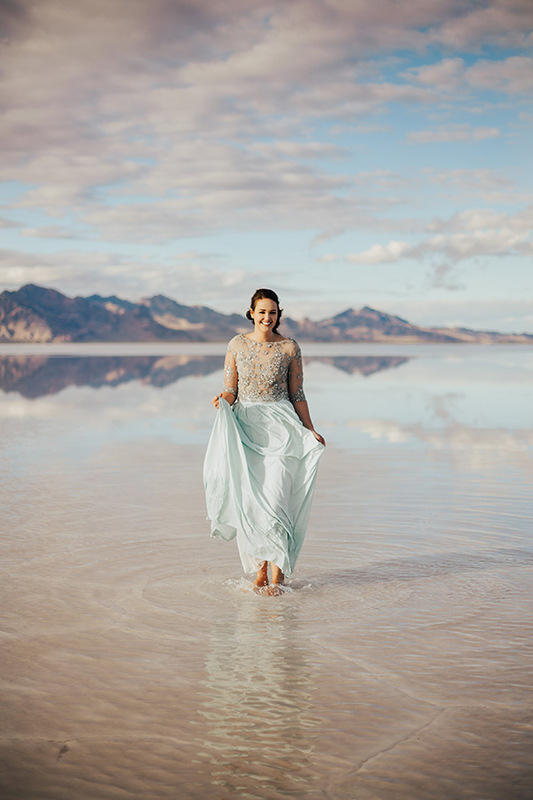 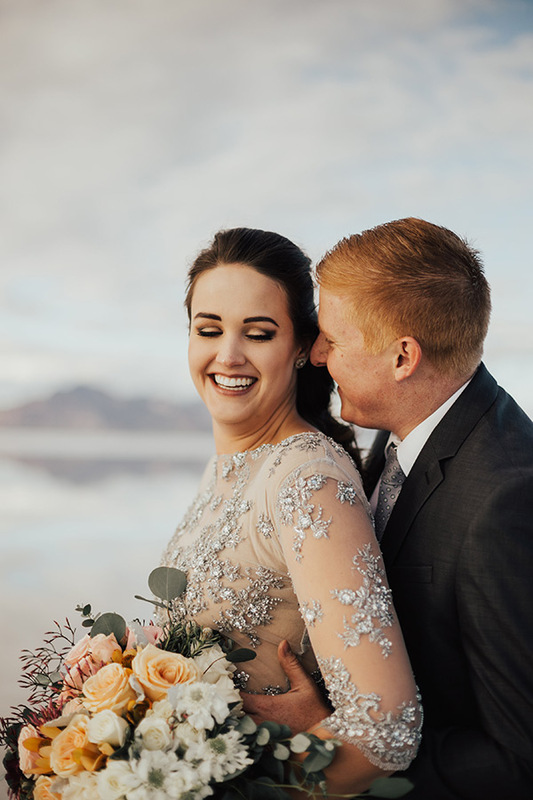 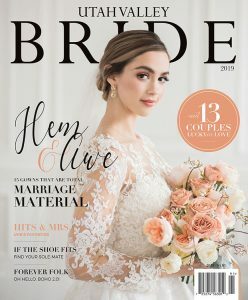 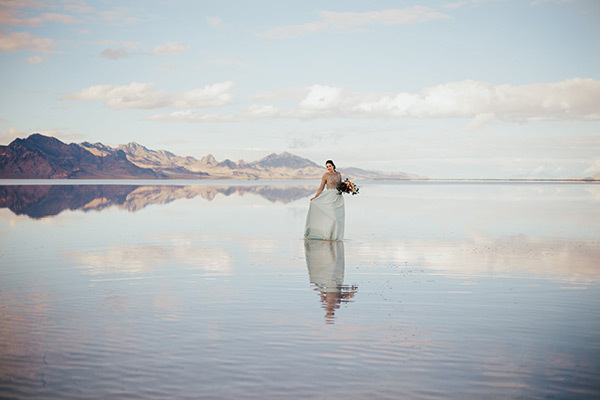 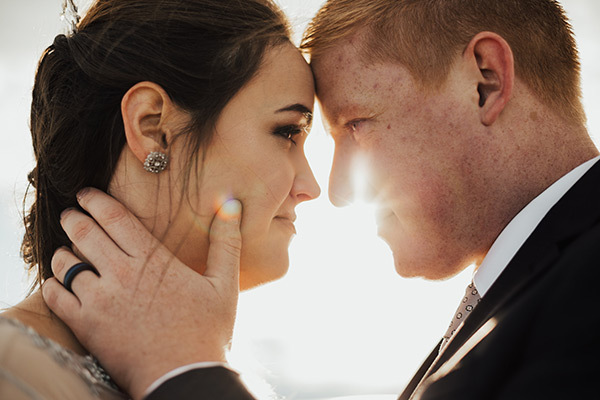 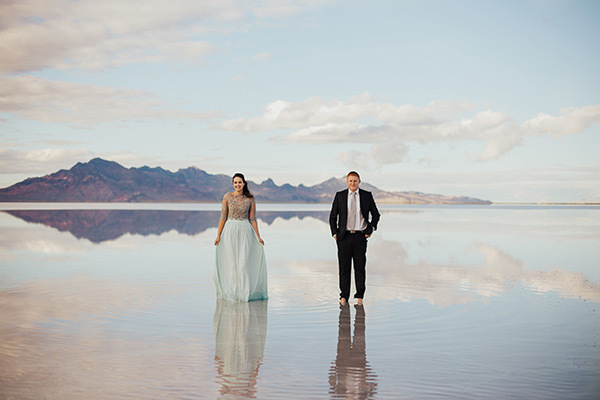 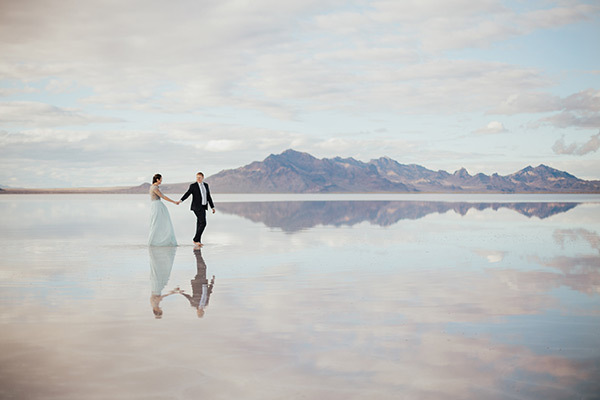 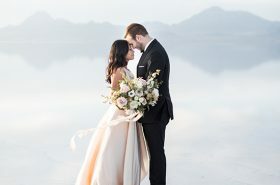 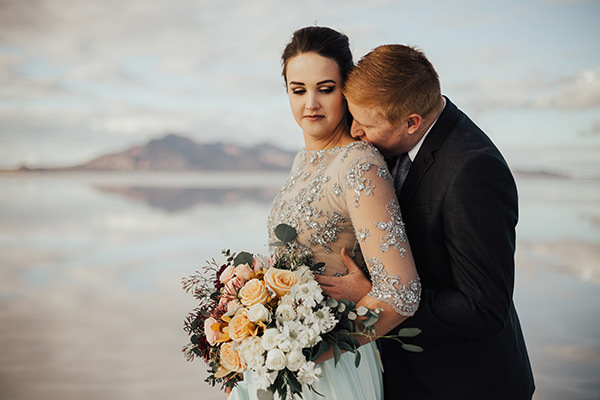 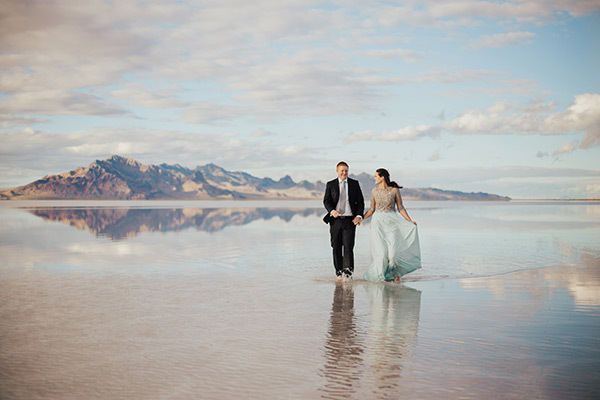 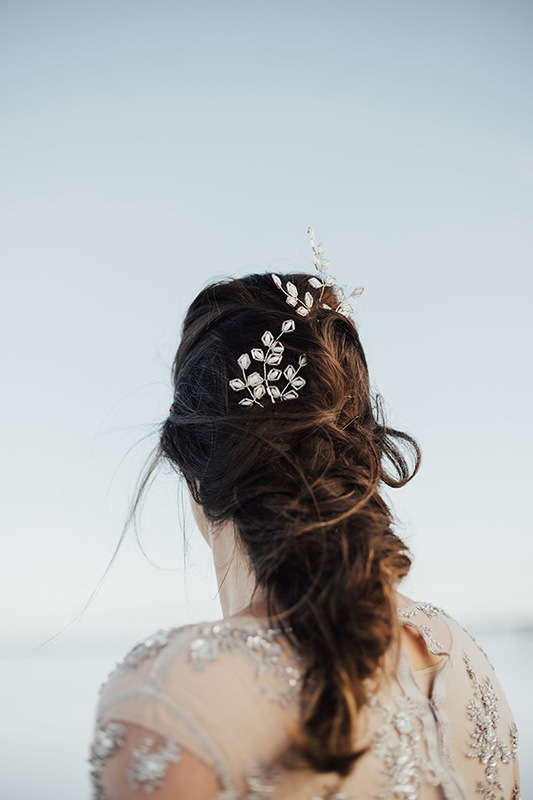 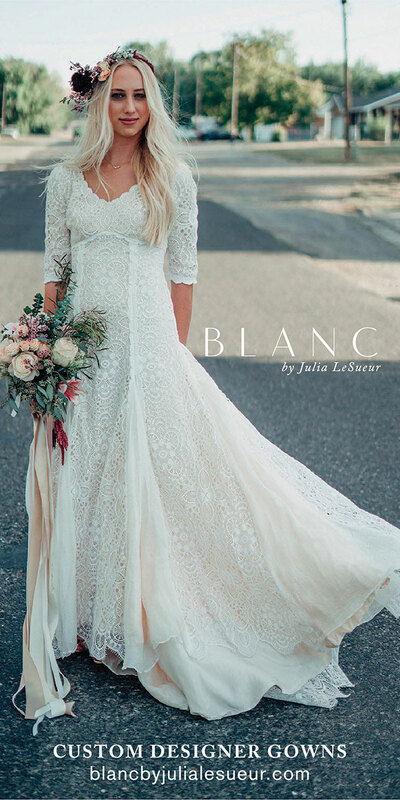 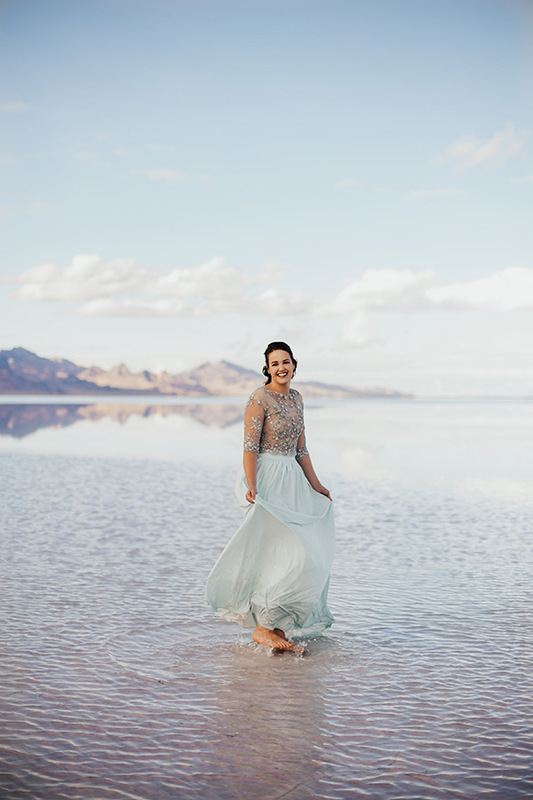 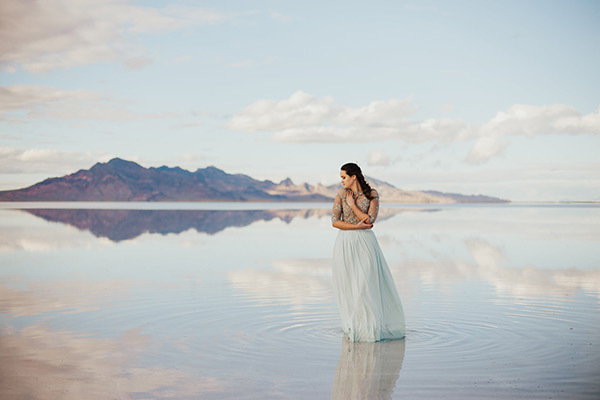 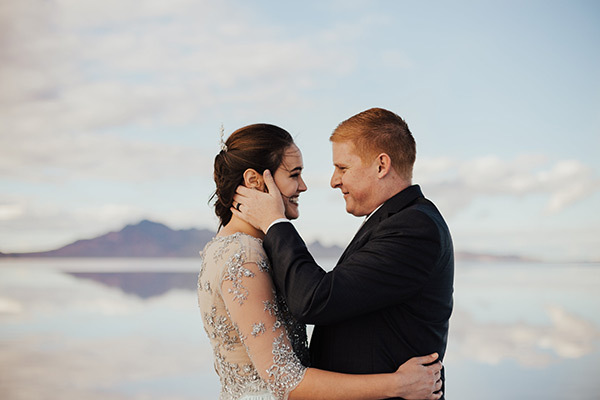 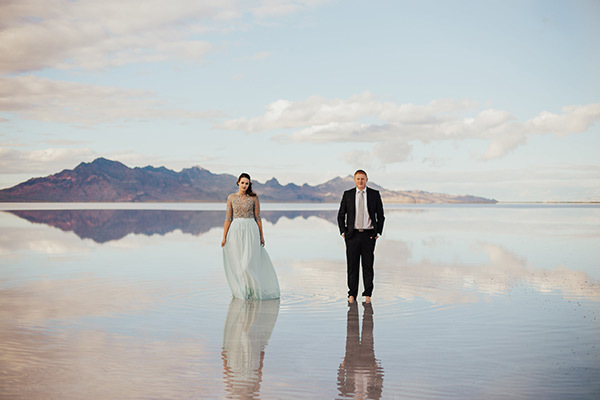 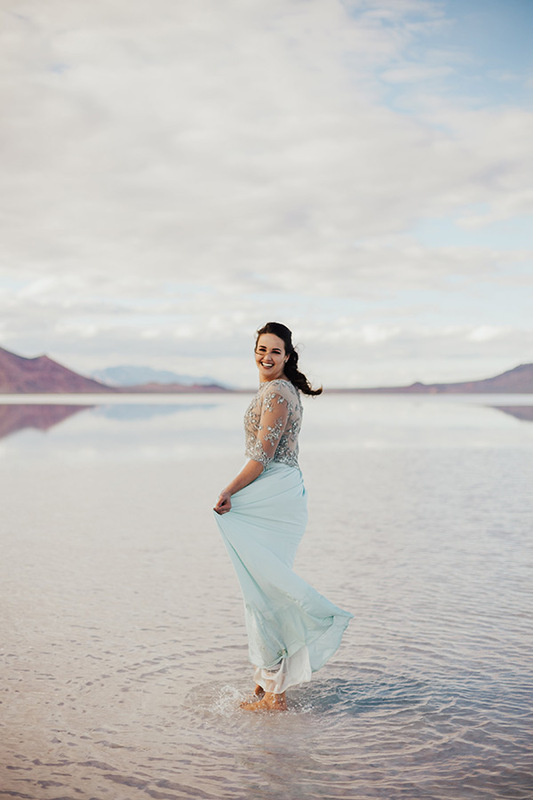 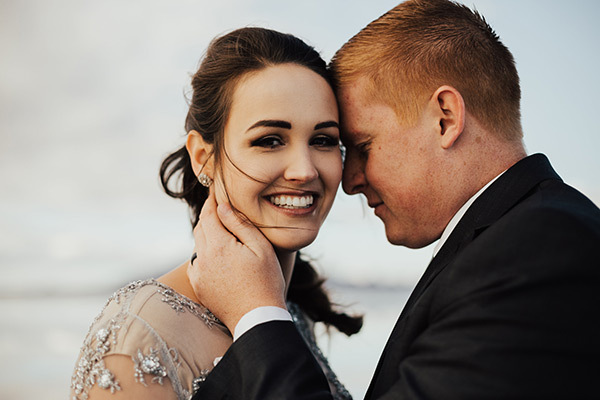 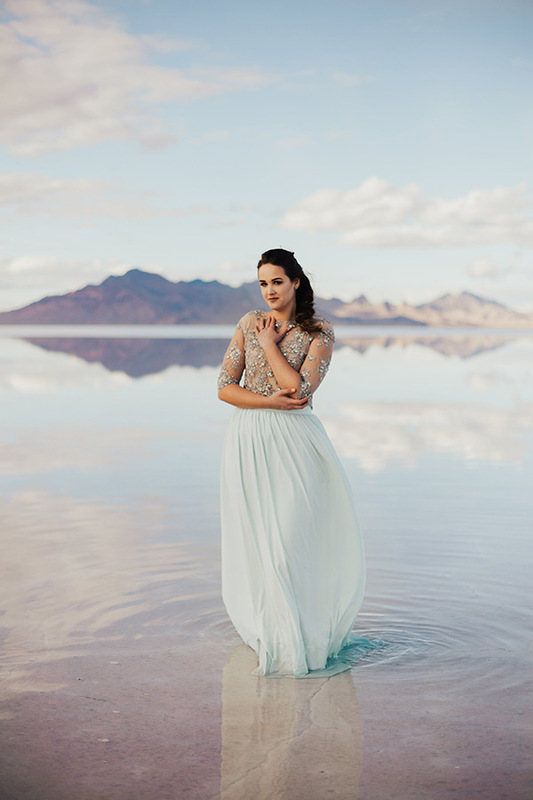 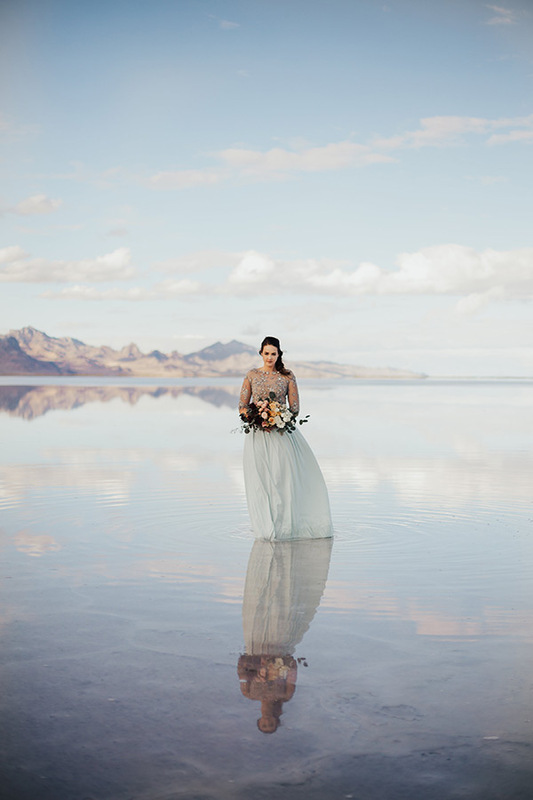 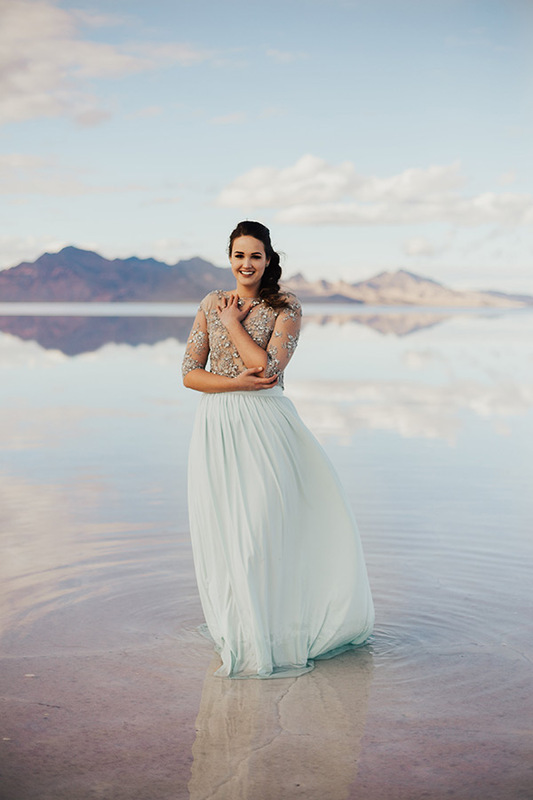 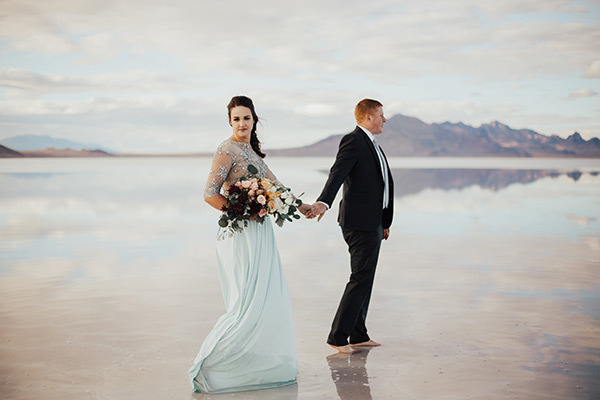 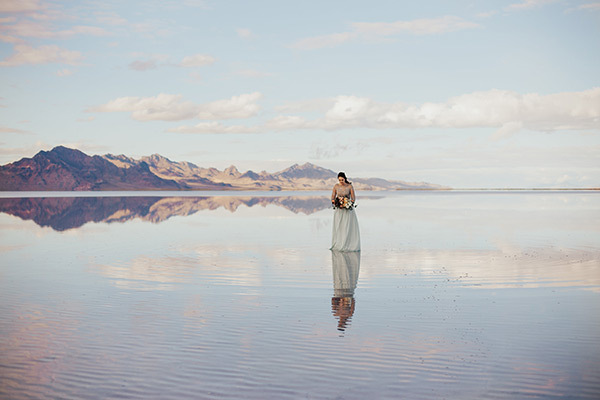 This beautiful bridal inspiration — set to a stunning Salt Flats sunset — sends happiness to the soul. 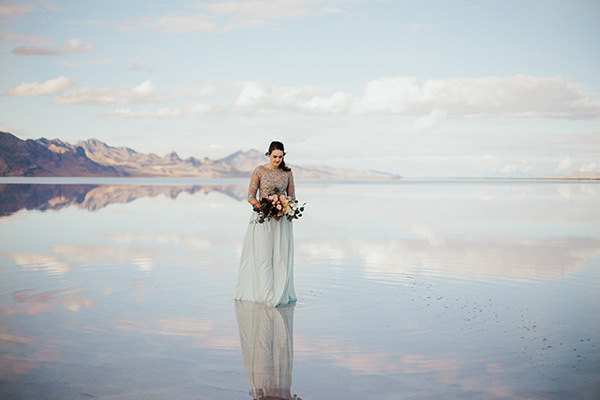 We love the sky blue frock amidst those perfect pinks and purples surrounding her. 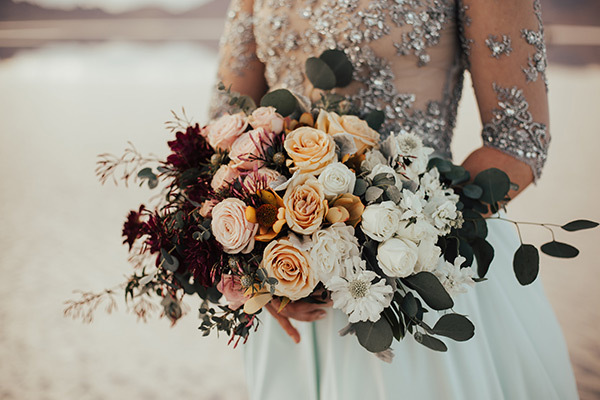 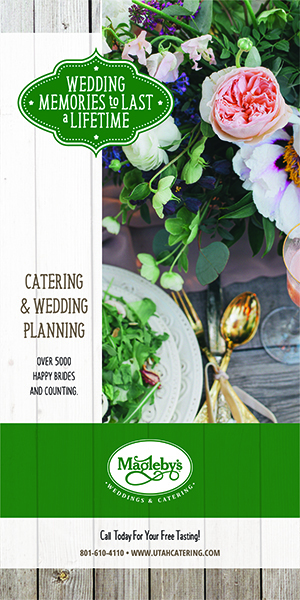 And that bouquet! 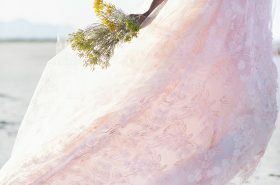 We’re just a little obsessed with the ombré gorgeousness. 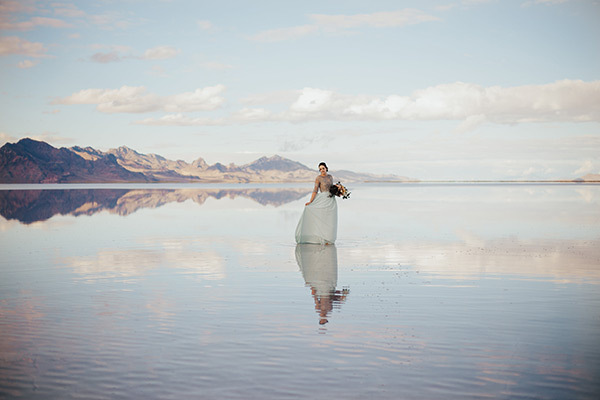 Take a little escape and come scroll through this other-worldly feature.